Murn and DJ AYDAMN team up again to bring a FREE powerful yoga flow with a backdrop of inspiring beats 🎶 Join Shakti Power Yoga and Nashville’s favorite DJ for a night of collaboration, community + connection! (Dancing is optional and highly recommended). Sign up in advance to reserve your spot! Join Shakti Power Yoga for an hour of power vinyasa yoga at Nashville Urban Winery at 6pm. $20 includes yoga, a can of wine, and extended happy hour specials until 7:30pm. Bring your mat and your friends! Murn is back for a rooftop yoga flow, followed by mimosas by L.A. Jackson! $20 per person - bring your mat and join us for some Sunday morning fun! We can't believe it - getFIT615 will be 4 years old and Shakti Power Yoga will be 6 years old! Our real birthday is on October 1st but we are partying on the 4th. Join us for our fouth annual Parking Lot Party to celebrate! Prepare for a night of FUN including snacks, dranks, and all of the dogs. Discounts on retail and class packages might happen, too! Shakti is back at Barista Parlor Golden Sound for Yoga & Coffee on Thursday mornings at 7am! $10 (cash preferred) - includes 60 minutes of yoga and a pour over coffee. Grab your mat and your friends and meet us for some morning flow and delicious coffee! Join Carol Anderson-Goodnight for a rooftop yoga flow, followed by mimosas by L.A. Jackson! $20 per person - bring your mat and join us for some Sunday morning fun! 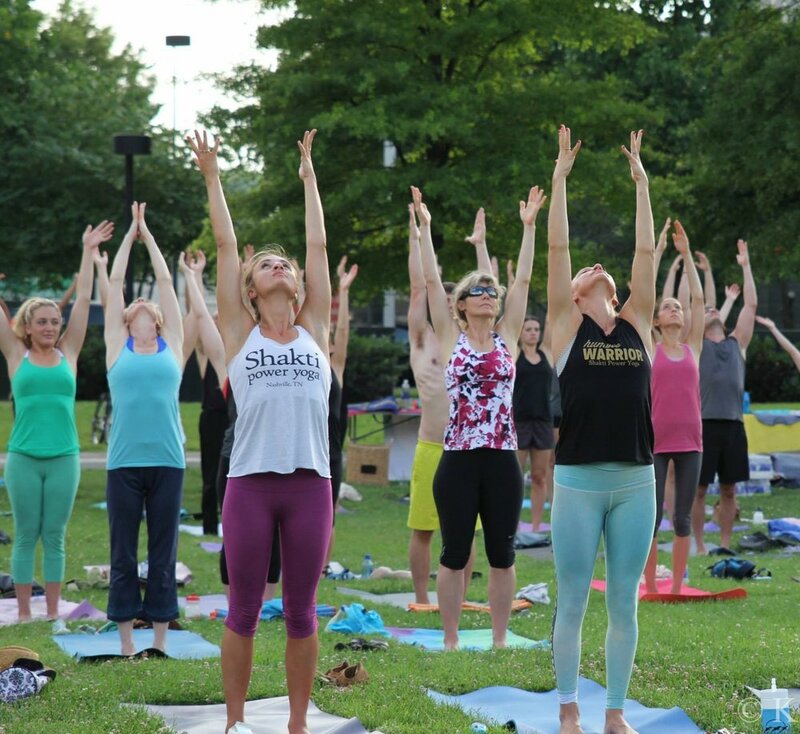 Join Shakti Power Yoga and Acme Feed & Seed on September 6th at 6:30pm for Namaste at Acme. An energizing evening of community and hip hop yoga flow with Murn on Acme's 3rd floor - $25 gets you the class and a Tito's cocktail! Bring a friend and BYOMat. Join us for yoga on the terrace at Topgolf Nashville! Each class begins at 7pm. Bring your own mat; light refreshments will be provided. Rooftop Yoga & Mimosas with Murn! Murn is back to lead a rooftop yoga flow, followed by mimosas by L.A. Jackson in the Thompson Hotel! $20 per person - bring your mat and join us for some Sunday morning fun! Join Shakti Power Yoga and Acme Feed & Seed on August 3rd at 7pm (doors 6:30pm) for Namaste at Acme. An energizing evening of community and hip hop yoga flow with Murn on Acme's 3rd floor - $25 gets you the class and a Tito's cocktail! Bring a friend and BYOMat. Join us for our LAST December Wellness Wednesday class on the farm! Yoga will be led by Murn and will begin between 5 and 5:15 pm in the Grand Barn. Be sure to bring your own mat, towel, and water bottle! $10 per person. Soups, drinks, and light bites will be served in our farm store afterwards. Our store will be open until 7pm for any last minute holiday shopping! Shakti x DAYBREAKER is heating up the dancefloor with some of Vanilla Ice's ’90s flair and all the glitter, rhinestones and tacky glitz we can handle. So don your DIY holiday gaudiness (and YES, your bling bling can be a string string of holiday lights) or just come as you are — we’ll have a full glitter station upon your arrival. The temp is dropping and the season of ice is rolling in — let’s grab every tacky, shiny holiday object we own, glue ’em on a sweater and call it 􀂙 bling􀂙. We’ll have yoga by Murn at Shakti Power Yoga and then Sister Sprouse will spin the tunes so we can shake it like a snowglobe. 􀆢☃ GT’s Kombucha will keep you extra energized and we’ll have sweet treats by Grab the Gold, Udi’s Gluten free and more. Then we'll wipe off the sweat and glitter and wrap up just in time for your 9-5! // Yoga 6am — please bring a yoga mat! Hugs, Handstands, Happiness. We cannot think of three better words to describe the feel of attending a class at the Africa Yoga Project Shine Center, in Nairobi, Kenya. 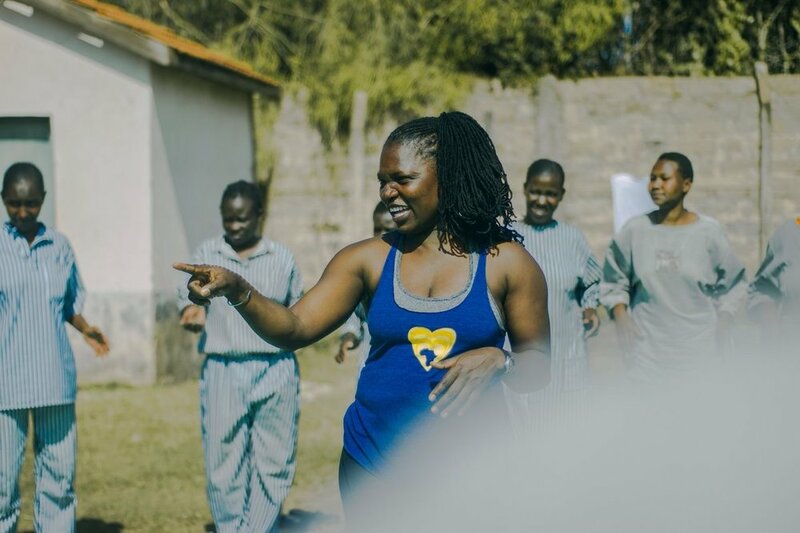 Teachers Margaret Njeri and Victoria Wangari are bringing AYP's contagious energy, enthusiasm, and passion for community to Shakti! Join us for a 60-minute power flow donation class to support AYP's mission in Africa. Shakti is hosting two opportunities for you to meet and share practice with these dynamic, powerful teachers: Friday November 17 at 4:30pm, and Sunday November 19 at 3pm. Join Anne Marie Garcia for a special donation class to benefit Living Beyond Breast Cancer (LBBC). LBBC is a nationwide organization connecting those affected by breast cancer with support and resources that are trustworthy and easy to access. Anne Marie Garcia is trained in the yoga4cancer (Y4C) methodology and has designed a class appropriate for those living with cancer. This class is also open to caretakers, family, friends, and all those affected by cancer. All proceeds will benefit LBBC and their continued mission to connect people affected by breast cancer to the highest quality programs and services. Shakti Power Yoga at Topgolf Live! Join Shakti for a Friday evening flow at Nashville's new Topgolf location! Bring your mat and for $12, Chris Byford will lead you through a 60-minute flow. 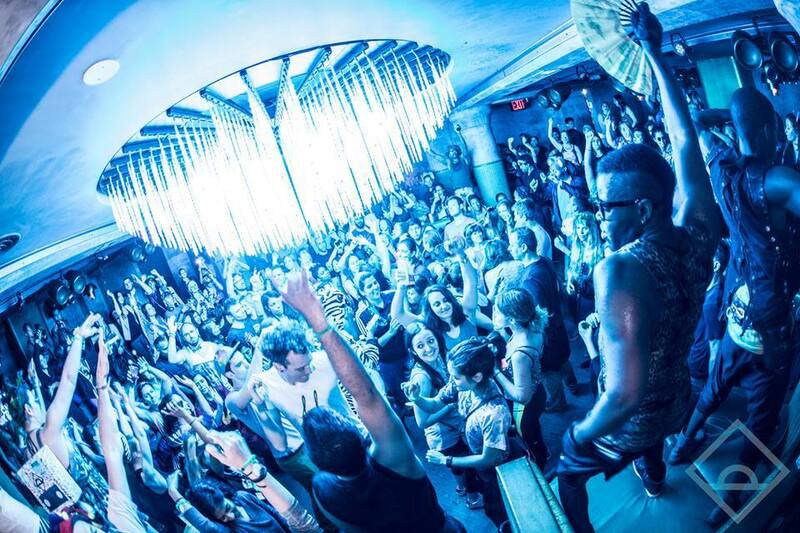 Stick around after and check out one of Nashville's newest coolest spots! Irene Auma is a certified Baptiste instructor and an Africa Yoga Project graduate. Irene started non-profit organization, Peace Within Prison, to bring yoga and meditation to the prison population in Kenya. Irene is traveling and teaching in the US to bring awareness and to raise funds for Peace Within Prison. Join Irene at Shakti for a powerful donation-based yoga class and learn more! EiO & THE HIVE and Shakti Parking Lot Party #4! The best #SundayFunday Around - Join Murn from Shakti Power Yoga & DJ AyDamn @ EiO & THE HIVE for a parking lot flow followed by mimoas + brunch! Join us for a very special first time Shakti Sunday Supper Flow August 27 at 3:30. Inspired by our amazing experience at The Shine center in Kenya, two 90 minute power yoga vinyasa classes will be lead by Shakti teachers and assistants followed by supper provided by Shakti Power directly afterwards. The class & dinner will be donation based. Proceeds will help Shakti host Africa Yoga Project teachers during their Handstands Hugs and Happiness tour in Nashville. Please bring your friends and family. This a great way to connect with others and share our love for food, yoga, and service!! Classes will be held in both Shakti and Shiva rooms. Shakti and Small World Yoga are excited to welcome Walter Mugwe to Nashville! Walter is a dynamic Baptiste Yoga teacher and trainer from Africa Yoga Project (AYP). In Kenya, he teaches full-time at the Africa Yoga Project Shine Center. Walter has also taught at special needs community centers, prisons, and schools around Nairobi. Get ready to be inspired and empowered as Walter leads a challenging, fun, exciting, and breath-centered donation class. All proceeds benefit Africa Yoga Project. Shakti is thrilled to welcome Kristi Taylor back to Nashville! Kristi is a passionate Baptiste and Acro Yoga instructor (and glitter enthusiast) on a mission to ignite bold leaders, inspire people to fulfill their purpose, and provide tools to each and every person to live a vibrant healthy lifestyle to do everything they desire. Kristi is a doTERRA Wellness Advocate and is thrilled to share her knowledge of essential oils to reduce stress and anxiety. Join us at 11:30am on Sunday 8/13 for a FREE essential oil education workshop. Be sure to catch Kristi's Power Beats flows with essential oils. Rock your soul, unite your senses, move your body with freedom and joy. Loads of laughs. Leave feeling refreshed and READY - full of possibily. BAM! Sign up for classes through Mindbody.